Additional Child Tax Credit. If a taxpayer qualifies and gets less than the full Child Tax Credit, they could receive a refund, even if they owe no tax, with the Additional Child Tax Credit. The Internal Revenue Services and its partners, in the fight against identity theft, urge computer users to strengthen their passwords. The password serves as the first line of defense to stop hackers and identity thieves from accessing your computer, mobile phone and other internet-accessible devices. The IRS, state tax agencies and the tax professional industry are asking for your help in their effort to combat identity theft and fraudulent tax returns. Working in partnership with you, we can make a difference. That’s why we launched a public awareness campaign that we call Taxes. Security. Together. We’ve also launched a series of security awareness tips that can help protect you from cybercriminals. Add password protections to all devices. You should use a password to protect any device that gives you that opportunity. Not only your computer, tablet or mobile phone but also your wireless network. The password is your first line of defense. Change all factory password settings. If your device comes with factory password settings, for example the camera on your laptop, change it immediately. Longer is better. A password should be a minimum of eight digits but 10 to 12 is even better. It should be a combination of upper case and lower case letters, numbers and special characters. Do not use your name or birthdate. Do not repeat passwords. These days, people often have multiple, password-protected accounts. Do not use the same password repeatedly. Should a thief steal your password, he immediately will have access to other important accounts. Use different passwords, especially on important financial or tax accounts. Use two-factor authentication options. Many social media and financial institutions now give you the option of setting up a two-factor or two-step authentication process. A two-factor process involves a security code being sent to your registered mobile phone. This means if a thief manages to steal your user name and password, he will be blocked from accessing your accounts. Consider a password manager. One option for keeping track of your passwords on multiple accounts and getting help in creating strong passwords is to use a password manager. Some reputable companies offer free or low-cost versions of their products. See if a password manager might be right for you. The IRS, state tax agencies and the tax industry joined as the Security Summit to enact a series of initiative to help protect you from tax-related identity theft in 2017. You can help by taking these basic steps. More information about tax-related identity theft can be found at Identity Protection: Prevention, Detection and Victim Assistance as well as the Taxpayer Guide to Identity Theft – all on IRS.gov. You should always keep a copy of your tax return. It is even more important for 2017, as the Internal Revenue Service moves to strengthen its e-signature validation process. You must use your 2015 adjusted gross income or your 2015 self-select PIN to validate your identity on your federal electronic tax return this tax season. The electronic filing PIN is no longer available as an option. 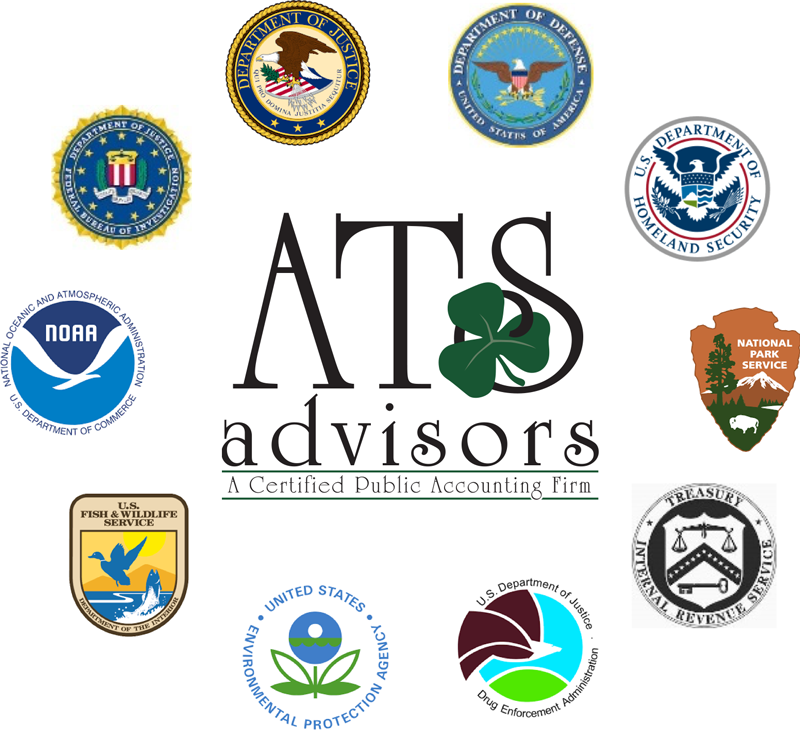 The IRS, state tax agencies and the nation’s tax industry – partners in combating identity theft -ask for your help in their efforts. Working in partnership with you, we can make a difference. That’s why we launched a public awareness campaign that we call “Taxes. Security. Together.” We’ve also launched a series of security awareness tips that can help protect you from cybercriminals. As part of the IRS efforts to protect taxpayers, the e-signature validation change mostly affects those taxpayers who have used tax software in the past but are changing software brands in 2017. If that’s you, learn more about how to verify your identity and electronically sign your tax return at Validating Your Electronically Filed Tax Return. Find a copy of your 2015 tax return; the original return filed with the IRS. Create a five-digit Self-Select PIN to serve as your electronic signature. It can be any five numbers except all zeros. If married filing jointly, each taxpayer must create a self-select PIN. Provide either your 2015 adjusted gross income or your 2015 self-select PIN as the “shared secret” between you and the IRS. Either number, along with your date of birth, will serve to help validate your identity and verify your e-signature. On your 2015 tax return, your adjusted gross income (AGI) is on line 37 of the Form 1040; line 21 on the Form 1040-A or line 4 on the Form 1040-EZ. This change will not affect most taxpayers. For example, if you are a returning customer, your software generally will automatically populate your date of birth and “shared secret” information. Those of you who switched software products generally must enter the “shared secret” information yourself. If you don’t have a copy of your 2015 tax return, you may be able to get a copy from your prior-year software provider. If your software account is still active, you may be able to view your 2015 federal return to find your AGI. Or, you may ask your prior-year tax preparer for a copy if you had your return prepared professionally. If those are not options, you may use a Get Transcript self-help tool on IRS.gov to get a Tax Return Transcript showing your AGI. The Internal Revenue Service and its partners urge you to follow a few safe practices that will increase your security online and help protect you from identity theft. The Monday after Thanksgiving Day is known as Cyber Monday – the online equivalent to Black Friday — as shoppers head to retailers’ websites. Look for the “s” in “https.” The “s” in the opening URL stands for security. Always look for “https” – example, https://www.irs.gov – before sharing any information about your identity or your credit card/bank information. The “https” means the site uses secured, encrypted technology. The IRS, state tax agencies and the tax industry joined together as the Security Summit to enact a series of initiative to help protect you from tax-related identity theft in 2017. And you can help by taking these basic steps. The Internal Revenue Service, states and the tax industry remind you that online threats and annoyances abound. There are viruses, worms, Trojans, bots, spyware and adware – all fall under the malicious programs (malware) umbrella. How do you protect your computer from hackers and identity thieves? You need security software and to keep it turned on. You also need security on all of your digital devices, including laptops, tablets and mobile phones. The IRS, state tax agencies and the tax professional industry are asking for your help in their effort to combat identity theft and fraudulent returns. Working in partnership with you, we can make a difference. Tens of thousands of new malware programs launch each day, making the use of security software essential to safe internet use. These malware programs can disable your computer, install viruses that give cybercriminals control, steal your data, track your keystrokes to give criminals your passwords and many other malicious acts. Use pre-installed security software. Many computers come pre-installed with firewall and anti-virus protections. A good broad-based anti-malware program should be able to protect you from viruses, Trojans, spyware and adware. Turn on automatic updates. Set your security software to update automatically so it can be upgraded as threats emerge. Also, make sure your security software is on at all times. Investigate your security software options. Search out trusted sources to learn more about security software options. This will help you decide if you should invest in security software that gives you even stronger protections and options. Consider encryption software. If you retain important financial documents, such as prior-year tax returns, on your computer, consider investing in encryption software to prevent unauthorized access by hackers or identity thieves. Protect your children. If your children also use the same device, make sure it has parental control options to protect your children from malicious websites. Educate your children about the threats of opening suspicious web pages, emails or documents. Set password protections for all devices. Whether it’s your computer, tablet or mobile phone, always set a password requirement for accessing the device. If it is lost or stolen, your device is still protected from access. Protect your wireless network. Set password and encryption protections for your wireless network. If your home or business Wi-Fi is unsecured it also allows any computer within range to access your wireless and steal information from your computer. Never download “security” software from a pop-up ad. A pervasive ploy is a pop-up ad that indicates it has detected a virus on your computer. It urges you to download a security software package. Don’t fall for it. It most likely will install some type of malware. Reputable security software companies do not advertise in this manner. Avoid downloads from suspicious sources. Never open a PDF document or picture attached in an email from an unknown source. It may contain malware. Saving for the future has several benefits. You pay less in taxes, ensure your retirement years are secure and qualify for tax breaks. The simplest way to realize the full advantages of your retirement account is to maximize your retirement contributions. You may make a contribution anytime from January 1 to the tax filing deadline (April 17 in 2017). If you have a 401(k) plan, you can contribute up to $18,000 in 2016. The limit was the same in 2015. If you maxed out your 401(k) in 2015, then you should keep your monthly contributions at the same rate. Eligibility for a Roth IRA phases out for taxpayers with income between $116,00 and $131,000 ($183,000-$193,000 for couples). Couples earning more than this limit can convert a traditional IRA to a Roth IRA. You do not pay taxes on your contributions to a 401(k), but you’re taxed on withdrawals. However, on Roth IRA, you pay taxes at the time of making the contribution and make tax-free withdrawals later. Depending on which retirement account you have, you can plan your contributions based on how you are taxed. If you prefer paying taxes at a known tax rate, then the Roth IRA is preferable. However, if you want tax-free growth, a traditional IRA or a 401(k) is the retirement account to choose. You can contribute up to a maximum of $5,500 to an IRA in 2016. If you are age 50 years or older, the maximum contribution limit is $6,500. One restriction to an IRA is that if you have a workplace retirement plan and a modified adjusted gross income (AGI) between $61,000 and $71,000 for individuals ($98,000-$118,000 for couples) in 2015, then you cannot make a full deduction on the contribution. In some cases, you cannot even take a partial deduction. Also, even if you don’t have a workplace retirement plan but your spouse does, you cannot deduct the full amount of your contribution to an IRA if your income together is over $183,000. If your income together is over $193,000, then you cannot take any deduction.